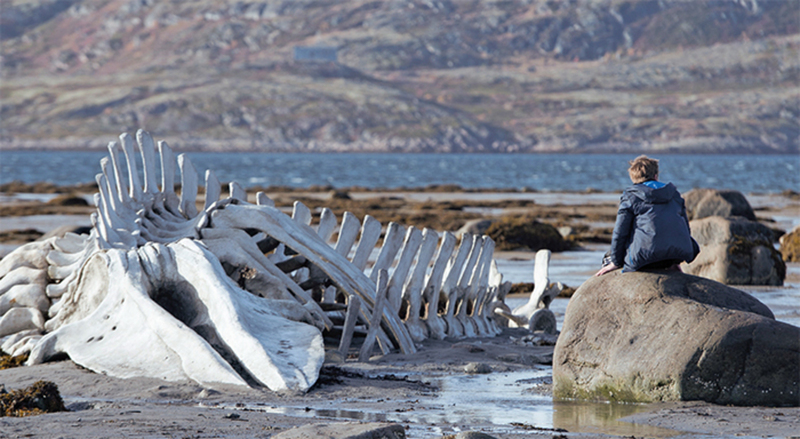 Andrey Zvyagintsev, Leviathan, 2014, 35 mm, color, sound, 141 minutes. Roma (Sergey Pokhodaev). RUSSIAN DIRECTOR Andrey Zvyagintsev made an auspicious debut in 2003 with The Return, a film about the primal struggle of a father, returned from a long, unidentified war, to assume authority over his two adolescent, none too welcoming sons. The film’s dark biblical and mythic resonances, less blatant in Zvyagintsev’s subsequent filmsThe Banishment (2007) and Elena (2011)are in full force in Leviathan, his latest work. Though it’s not exactly Long Day’s Journey into Night, lots of alcohol is consumed in Leviathanvodka, to be exact. As in O’Neill’s play, the more we learn about the characters and their circumstances, the more this seems understandable. Kolya, who runs an auto-repair shop, lives in a small, economically depressed fishing village with his sullen wife, Lilya, and his angry teenage son, Roma.